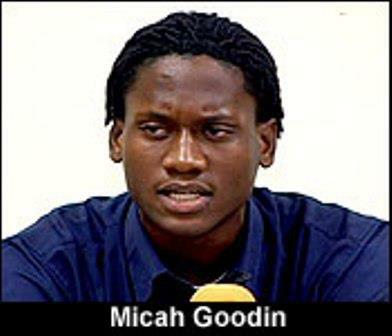 What’s all this about Micah Goodin? From all appearances, he di “Du Di Rait Ting”. He is President of the Student Council at SJCJC, Teen Belize Organization’s Personality of the Month, founder of A.R.M.E.D, a program aimed at mentoring young people, and the list goes on. One side says it is a simple matter of the scholarship program “Du Di Rait Ting” running out of funding BUT don’t you know how much money you have for scholarships BEFORE you give them out? Some say he took too long to complete his program and his share ran out. Others say it is retaliation, plain and simple for speaking out against Patrick Faber’s initiative to cut government subsidies of student fees. In any case, it would seem that he should not be left in the cold and he won’t be. Already, the Rotary Club and Kremandala have stepped forward to offer assistance. Michael Goodin is a prospect as one of the future leaders of this country. Brave, Outspoken, Courageous, Honest, and Brilliant.. In our political life he is a future threat to the present crop of so called leaders. THEREFORE, a persona non grata to the powers that be. Happy to hear that Kremandala and Rotary will save this precious Belizean Asset..